It's not all about the beer! Recently I accompanied a large group of DeHanas Team members and one of our local lenders to Washington, DC where we spent a very enjoyable evening at The Gordon Biersch Brewery Restaurant. The F Street location is actually housed in the old Riggs Bank building. The architectural beauty displays the traditional elegance of the Capital, complete with marble pillars and staircases. Gordon Biersch is the modern-day brewpub. They offer full service lunch, dinner and bar dining to guests from an eclectic American menu with international flavors. All the items on the menu are prepared to compliment Gordon Biersch's superb line of beers. They are committed to brewing the finest lagers possible and practice the 500-year-old German purity law called Reinheitsgebot which dictates that only four ingredients can be used in the brewing process: malted barley, water, hops and yeast. Some of the favorite lagers include: Blonde Bock, a golden medium bodied lager with a rich malty flavor; Marzen, an auburn lager with a smooth mildly sweet flavor; Dunkles, a dark full bodied malty lager; and Golden Export, a smooth refreshing golden lager. Gordon Biersch even serves a flight of small glasses so that you can try each one and pick out your favorite. The menu at Gordon Biersch consists of a variety of local favorites but all prepared in a unique way. One of the first things you'll notice is the portions. They aren't just big, they are huge! It's not so bad paying Washington, DC prices when you're served entrees like these. To top it all off, their wait staff is friendly, helpful and fast. 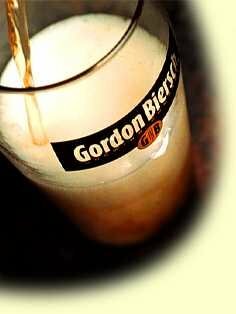 Gordon Biersch manages to retain a warm and fun atmosphere where you feel comfortable gathering with friends.